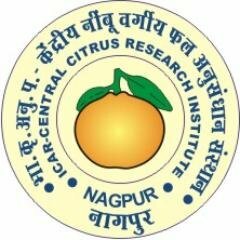 ICAR- Central Citrus Research Institute (CCIR) Nagpur is going to recruit eligible applicants to the posts of Young Professional – I & Young Professional – II. Total 3 vacancies of these posts have be filled by eligible applicants. As per the require qualifications & experience to the posts & have age in between 21 to 45 years. Eligible applicants can apply can apply to the posts by walk – in at following mention address. Walk – in interview is on 12th, 15th & on 16th January 2018 from 10: 30. Eligible applicants have to bring their applications applications to have an interview with the selection committee. Applicants have to bring applications duly filed with all require details about the applicants as educations qualifications, experience, age etc. No TA/DA will be paid to the posts applicants applying to the posts. Walk – in interview is on 12th, 15th & on 16th January 2018 as per the posts.